This isn’t a travel post. 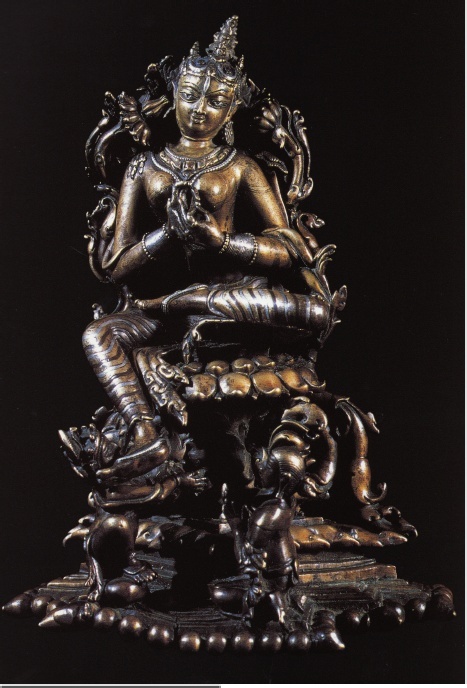 This is more my attempt to record my fascination with the great Buddhist goddess Tara, and her representations in art that I’ve come across in my travels and readings. First a brief biography of this major Mahayana goddess. The ‘Mother of Liberation’, when she first appeared in art and literature in India around the 7th century AD, Tara represented a radical departure from previous conceptions of Buddhahood. While the great Bodhisattvas had not achieved ‘Nirvana’ in the sense that they ‘postponed’ their Buddhahood to help all sentient beings achieve the same, Tara was a full-fledged Buddha herself. She came to represent the manifestation of a union of Karuna (compassion) and Prajna (perfect wisdom); or, in tantric terms, sunyata (emptiness) and mahasukha (great bliss). She became, in a sense, an embodiment of the very thing, the principle of being a Buddha. On an earthier level, she came to be venerated with a bhaktic intensity that rivalled that of the Bodhisattvas and the Buddha. There are two major manifestations of Tara, the Green Tara and the White Tara. The former, also known as Shyama Tara or Khadiravani Tara, was the more popular manifestation. Her wilder, tantric aspect of Mahachinakrama Tara or Ugra Tara was a great favourite of artists, as she rewarded her tantric sadhak with felicity of artistic expression. Tara as durgatitarini, deliverer from all evils, sealed her early popularity, and this has continually grown through her historical existence. Tara first appears in carved reliefs in Ellora, but her immense popularity properly began with the rise and the long reign of the Pala monarchy of Bengal and Bihar. The emblem of the Palas was an umbrella and their banner had a figure of Tara. 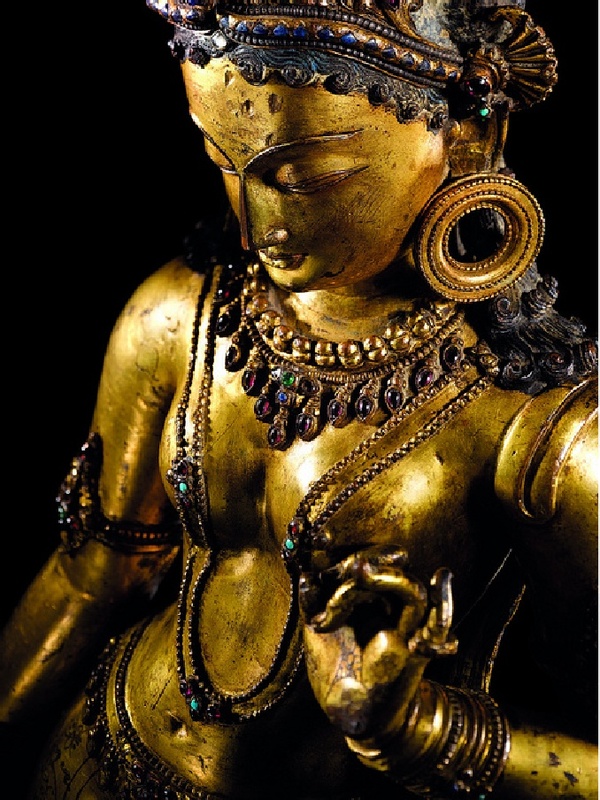 From the 8th to the 13th centuries, while Mahayana Buddhism flourished in eastern and northern India, Kashmir, the Kathmandu Valley and Tibet, along with its popular tantric means or upaya, the Vajrayana, there was a tremendous explosion in artistic expression in all of these regions—in stone and metal sculpture, music and painting. Fuelled by her popularity, Tara, with her benevolence, wisdom and beauty emerged as a favourite subject of art. Sadly, very few examples remain of the mural art and watercolour miniatures that Indian Buddhism was renowned for, but a precious number of artworks survive. 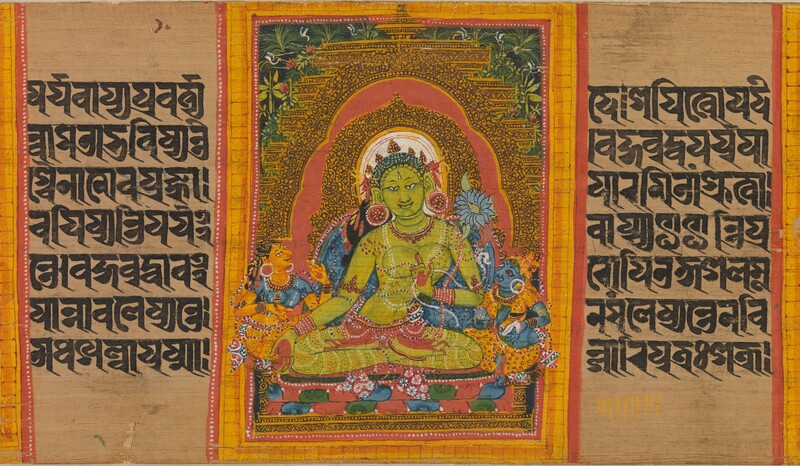 A few folios of Sanskrit palm-leaf Prajnaparamita manuscripts from Bengal and Bihar are scattered over the world, providing a precious example of miniatures. These are supplemented by copies and originals from around the same time from the Kathmandu valley and Tibet. 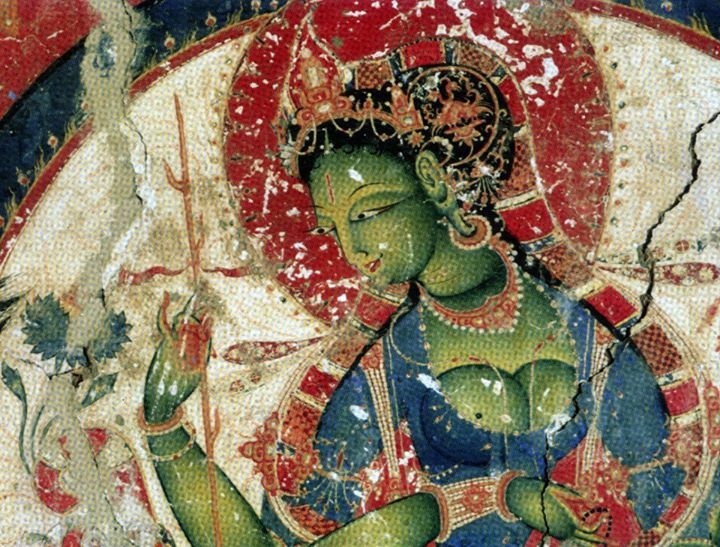 The mural tradition is best represented by Ajanta and Ellora, Alchi and Tabo, and Chinese versions of current Indian styles at Silk Route sites like Dunhuang in China. 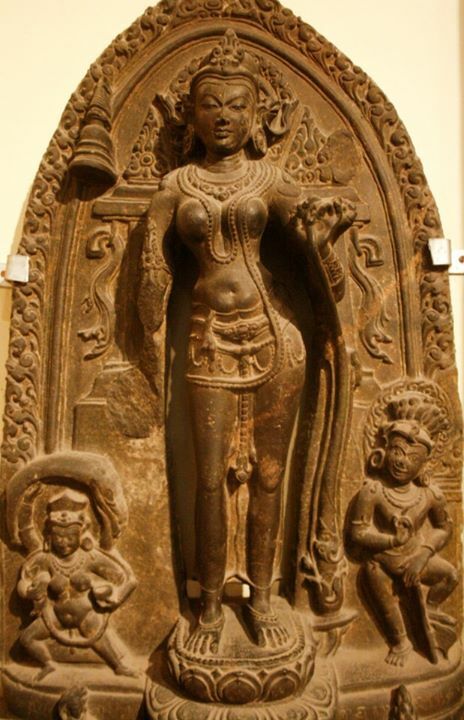 Stone sculptures are most numerous from north and eastern India; while metal sculptures in the Indian mode are more numerous in the Kathmandu valley and Tibet, though some survive from buried hoards in India as well. Strong traces of the Pala art heritage can still be seen in places like the Kathmandu valley, Tibet, China, south-east Asia and Japan, hugely enriched by the subsequent developments in the art traditions of those countries. 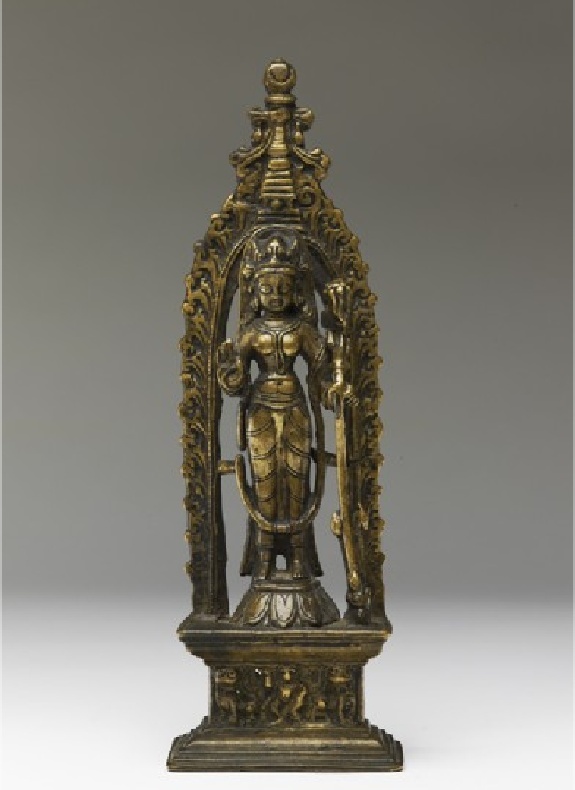 Indian Buddhism in its final avatar perished a long time ago, and along with it artistic representations of Tara. However, she lives on in the popular cultural memory, especially in Bengal, Assam and Orissa, where the fleet-footed saviour—she who ferries us over from our mundane existence—in a Hindu garb, continues to fulfill the same functions in the affections of the people. An artistic heritage of that era still flourishes in rural areas of eastern India, e.g. the patachitras. And Tara remains the doting mother of all creation, Jagattarini. Even her tantric manifestation, Ugra Tara, retains her cremation ground mystique at the famous Tarapeeth in Bengal. 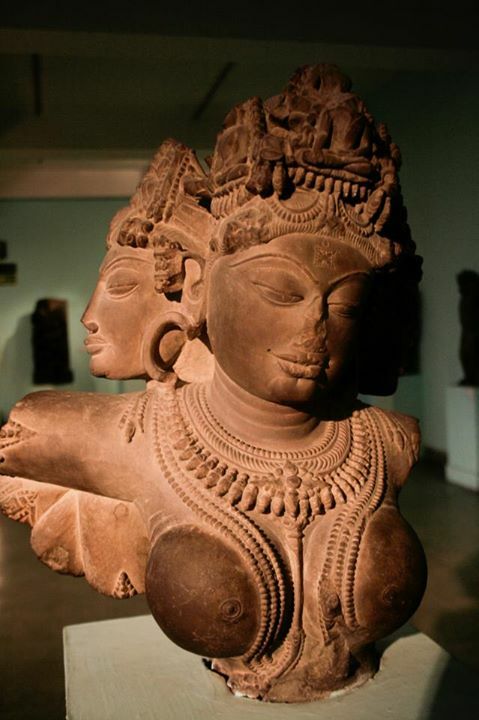 Here are some examples of the great Tara in art. Note, I’ve only listed artworks in the Indian tradition. The Tibetan tradition which branched off about 800 years ago, deserves its own post. Top: Seated Tara, bronze, Bengal, 10th century. 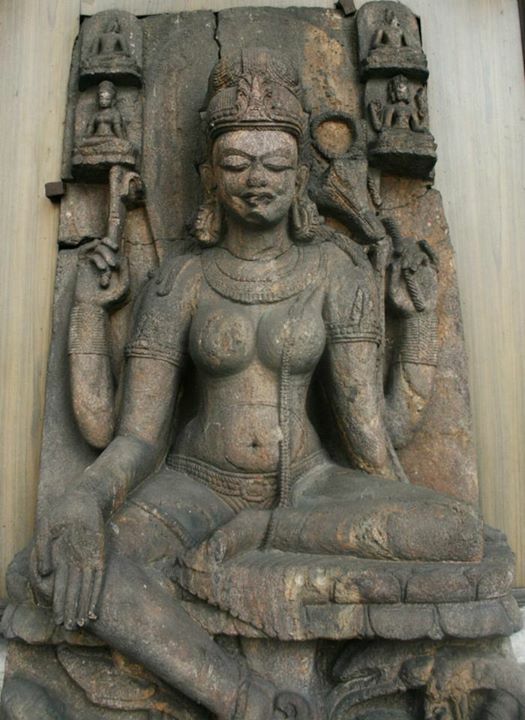 Bottom: Seated Tara, bronze, Bengal, 8th century. Bust of Vajra-Tara, sandstone, 11th-12th century, Pala-style. Tara dispensing boons, opaque watercolour on palm leaf; from a folio of an Ashtasahsrika Prajnaparamita palm leaf manuscript. 12th century, Bengal. Metropolitan Museum of Art. Seated Tara, mural, Alchi, Ladakh, 12th century. 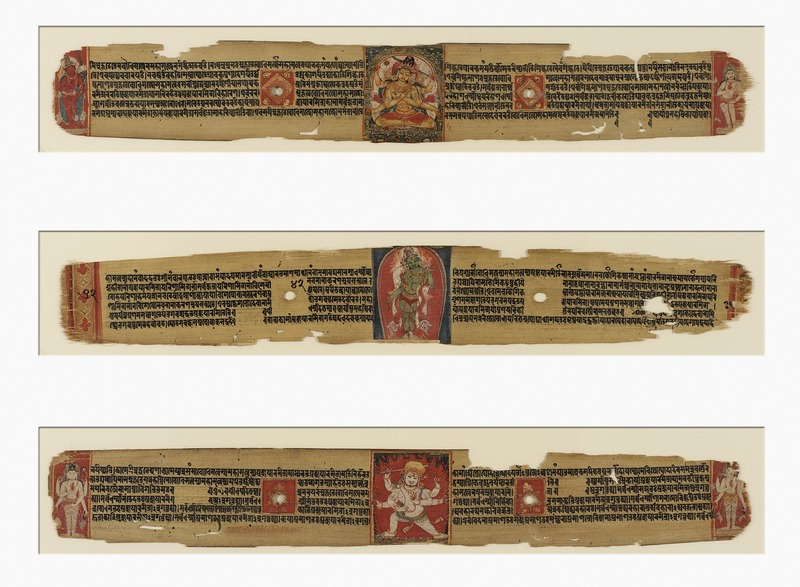 Folios from an Ashtasahsrika Prajnaparamita palm-leaf manuscript, the middle folio showing Tara. 11th-12th century, Bengal, Pala-style. 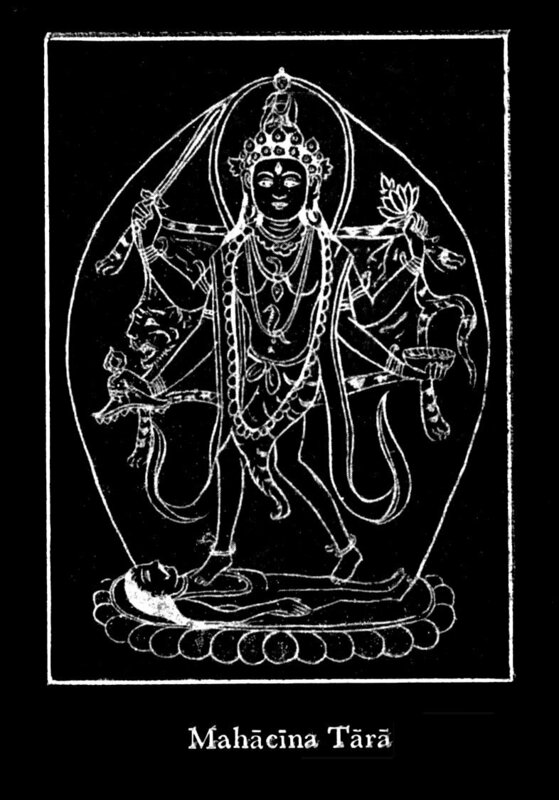 Sketch of Mahachinakrama Tara, a terrible manifestation of Tara said to be the tutelary deity of artists and musicians, Nepal. Note Aksobhaya on her crown. 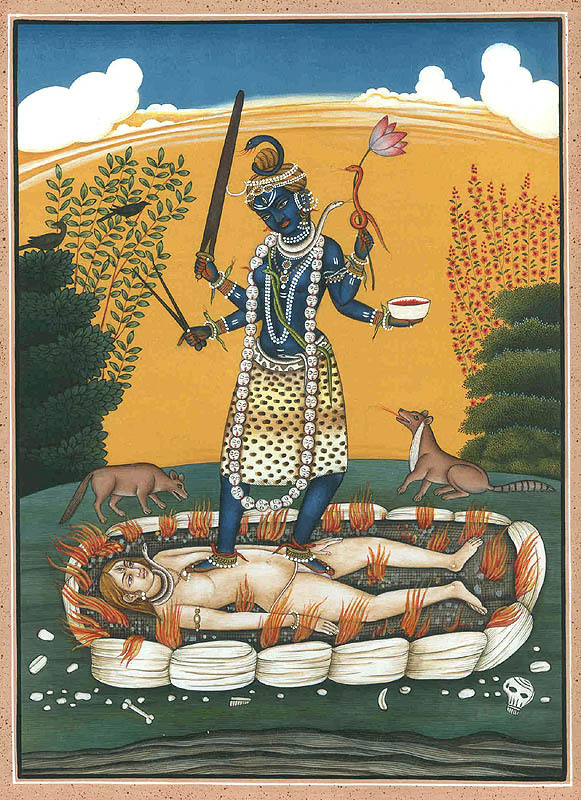 Pahari watercolour of Mahacinakrama Tara, 18th century without Aksobhaya and now turned into a Saiva goddess. Her function remains the same. 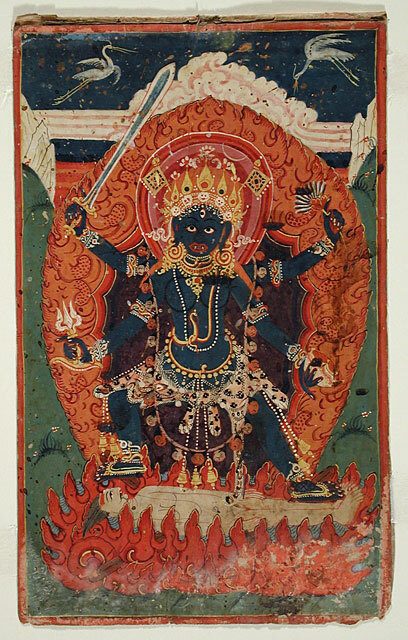 Watercolour of Mahacinakrama Tara or Ugra Tara, 18th century, Nepal. this is a very beautiful collection of images. thank you!